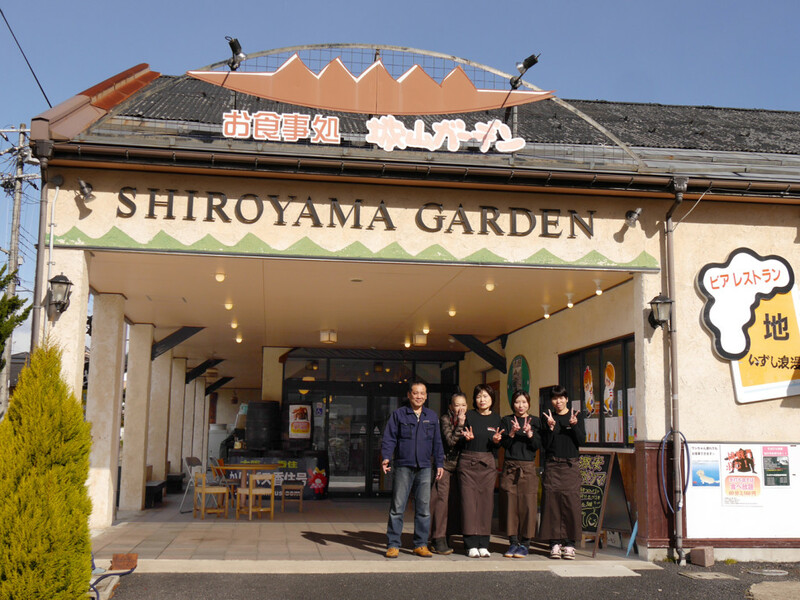 Izushi, in the North part of Hyogo prefecture, is one of Japan’s foremost spots for Soba noodles. 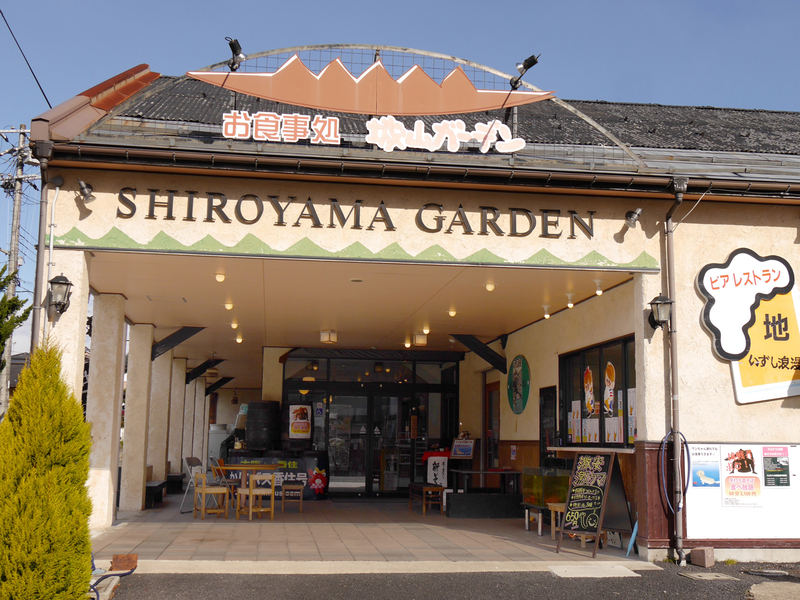 Izushi Shiroyama Garden was opened in a remodeled former chirimen factory, right in front of the Izushi castle ruins. 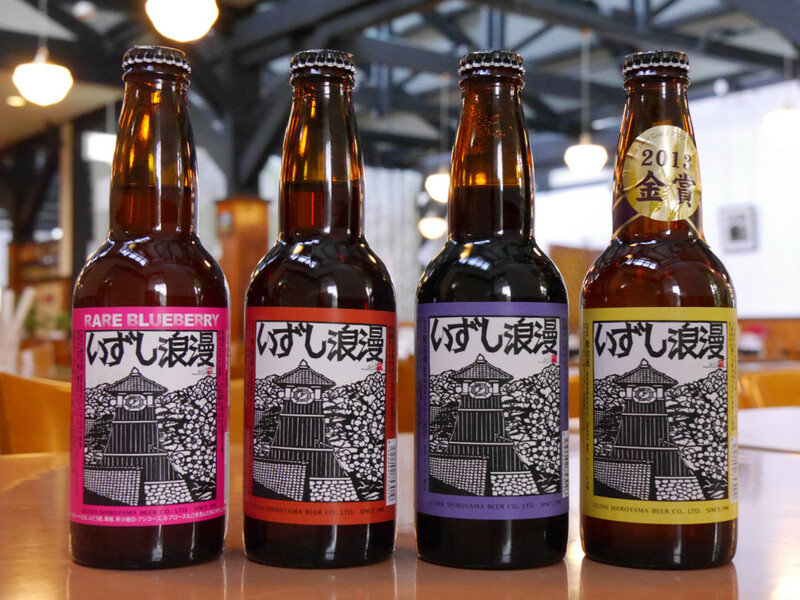 Beers use Izushi soba (buckwheat flour) and blueberried as additional ingredients.